When folks talk about the great soul singers of the past three decades, they don’t get far into the discussion before the name Glenn Jones comes up. With his rich vocals and signature style, he made smashes out of songs like “We’ve Only Just Begun” and “Show Me” back in the day, and he has been a concert staple for R&B fans around the world ever since. 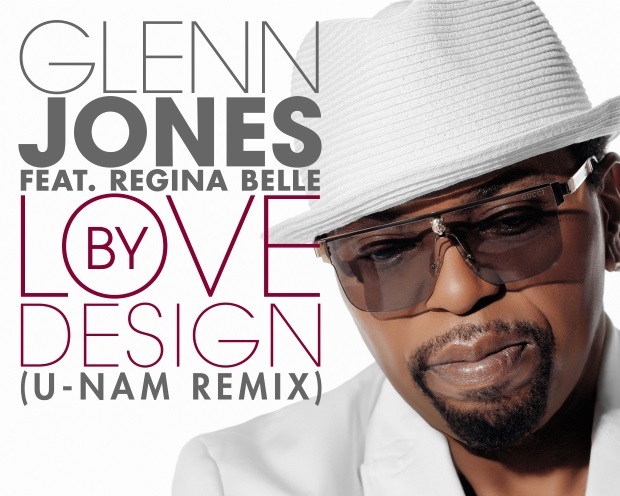 Recently something special happened when Glenn teamed with another musical legend, the incredible Regina Belle, to deliver a love song for the ages. "Love By Design," written by longtime ST fave James Day and produced by Chris “Big Dog” Davis, became an instant favorite with SoulTrackers and also a chart smash around the world. But like many great songs, “Love By Design” is one that can be listened to in multiple ways. And that’s what is happening with the brand new remix of the song by guitarist supreme, U-Nam. The gentle sway of the original version is replaced with a meatier arrangement and urban groove, taking the song in an entirely different direction, and making both vocalists shine…again.